The engagement ceremony between singer, Banky W and his sweetheart, Adesua Etomi has finally taken place. Nigerian musician, Banky W and actress Adesua Etomi have finally had their wedding engagement also called introduction today. The duo could be seen kissing as family and friends cheered them on. The two stars had made a shock announcement of their relationship this week sending social media users into a frenzy. Following a successful negotiation between the Federal Government and terrorist group, Boko Haram, about 82 abducted Chibok Girls have regained their freedom. 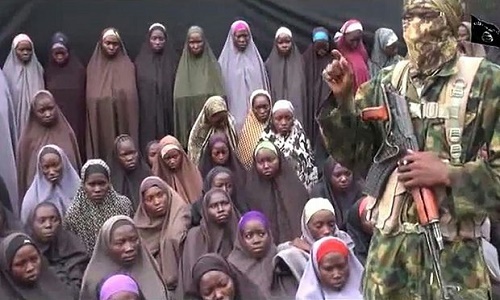 Terrorist group, Boko Haram has released about Eighty-two out of the 250 Chibok girls that were kidnapped sometime in 2014. According to Sahara Reporters, the girls, numbering 82 or thereabouts, were released after a negotiations between the Islamist group and the Federal Government. Indigenous People of Biafra leader, Nnamdi Kanu has finally arrived his home town in Isiama Afara, Umuahia to see his parents. The leader of the Indigenous People of Biafra (IPOB) Nnamdi Kanu has finally arrived his hometown in Isiama Afara, Umuahia in Abia State. 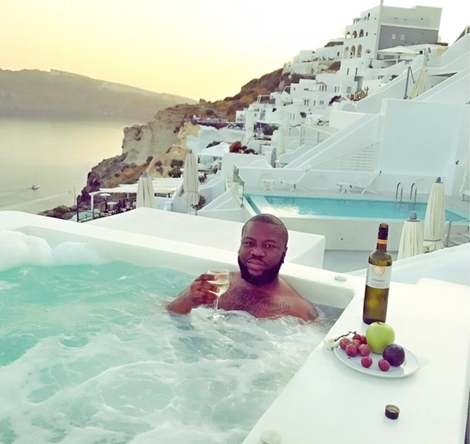 Malaysia-based Nigerian, Hushpuppi, who is known for flaunting his lavish lifestyle on social media, has shared a motivational post where he narrated on the struggles he went through before making so much money. In a motivational lengthy post made on Instagram, popular flamboyant Malaysia-based Nigerian, Ray Hushpuppi, opened up about the struggles he went through before finding wealth. The Instagram billionaire who first started by advising every kid in the ghetto to hustle up and chase their dreams, disclosed the certain moment a landlord ejected his family from their apartment, how he sold clothes in Lagos and how he left the country to chase his dream. The controversial Oba of Lagos, Oba Rilwan Akiolu has claimed that Lagos state is not a part of Yoruba land. 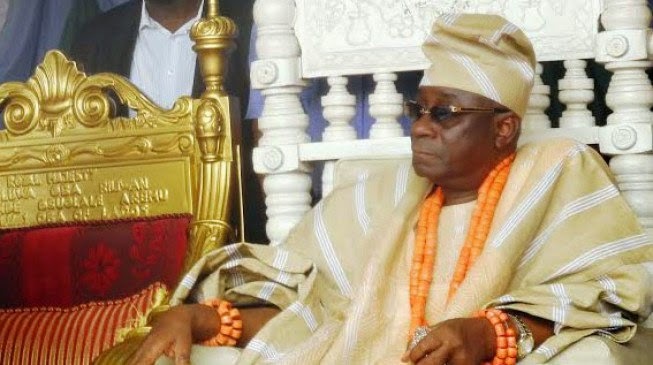 The Oba of Lagos, Oba Rilwan Akiolu, has claimed that Lagos State is not part of Yoruba land, according to a report by Daily Post. Daily Post reported that the Oba made the statement from his palace while tracing the historical background of the state and why it should not be regarded as part of Yoruba land. Oyinkansola is a budding entertainer who has taken the bull by the horn in order to cement her stand in the highly competitive industry. Oyinkansola, self-styled 'Shantelhoney63' is an embodiment of hotness and s*x appeal currently carving a niche for herself in the commercial nerve centre of Nigeria, Lagos. Policemen in Oyo State have caught a Cherubim and Seraphim Church pastor with human heads, buffalo and charms. 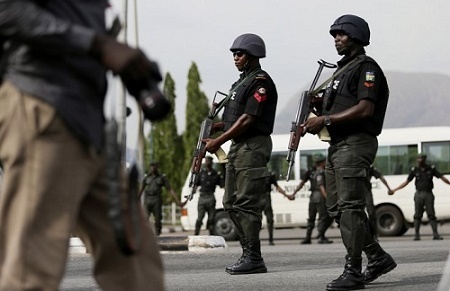 The Oyo State Police Command on Friday paraded a 55-year-old pastor for alleged unlawful possession of a human head, buffalo horn as well as gun powder and charms. The News Agency of Nigeria reports that the police also paraded 18 suspects arrested for alleged armed robbery, stealing and cultism. 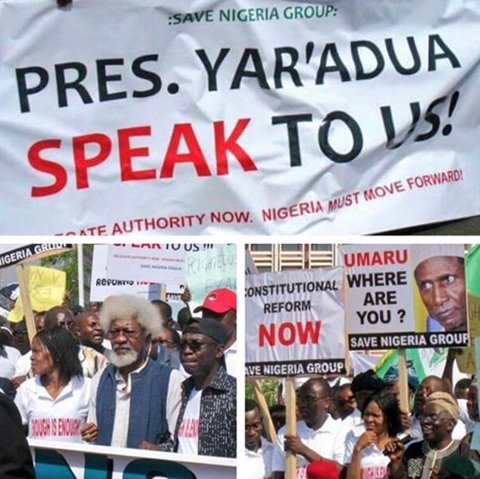 The Federal Government has been handed an ultimatum to reveal the true status of President Muhammadu Buhari's health or face nationwide protest. 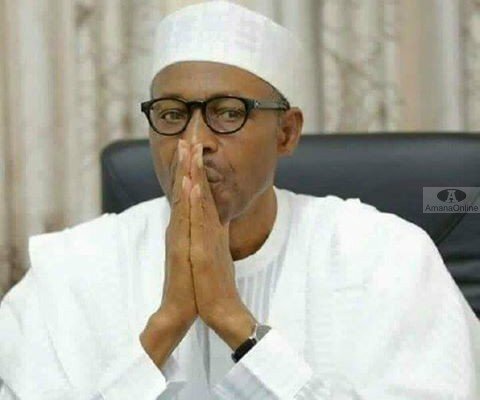 Civil society organisations and some lawyers have issued an ultimatum asking the Presidency to publicly disclose the true state of health of President Muhammadu Buhari on or before May 29, to put a rest to speculations that the government has been hijacked by a cabal, Punch has reported. Following the incessant attacks on Benue communities by Fulani herdsmen, the State Governor has raised an alarm over the atrocities the killer herdsmen. Benue State Governor, Samuel Ortom, has said that 12 out of the 23 Local Government Areas of the state have been taken over by Fulani herdsmen, The PUNCH reports. To this end, the governor was said to have backed the law outlawing open grazing, saying it would promote the economy and protect lives and property of people, especially in Agatu, which had been taken over by Fulani herdsmen. A couple have died of carbon monoxide poisoning while having s*x inside their car leaving many people in serious shock. A horny couple have gassed themselves to death while romping in a parked car, Sun UK reports. It was gathered that the incident took place in Taiwan. 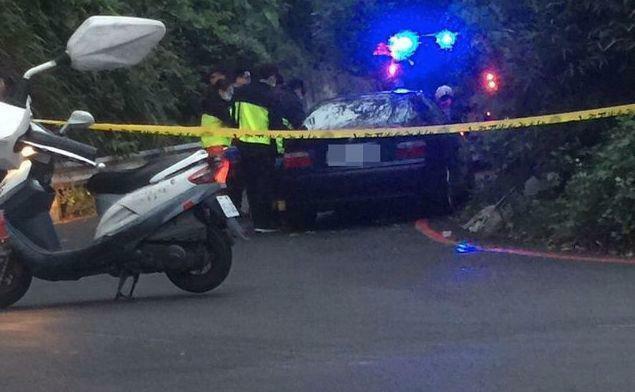 Police officers were forced to breaki into the locked BMW car after passers-by spotted the half-n*ked pair slumped motionless in New Taipei, Taiwan. During an interaction with journalists, Vice Chancellor of the university, Professor Mohammed Akaro revealed that over a hundred students have been expelled by the institution. 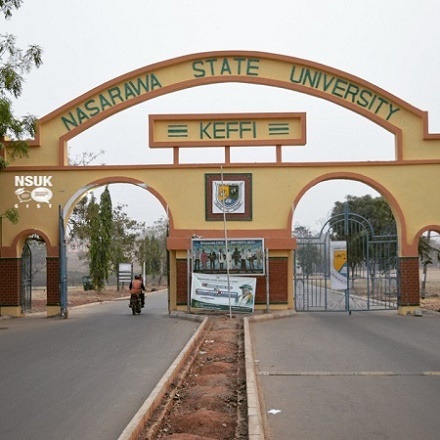 No fewer than 113 students of the Nasarawa State University have been dismissed over fake results. The students were caught with the fake documents between 2014 and 2017, the institution said. 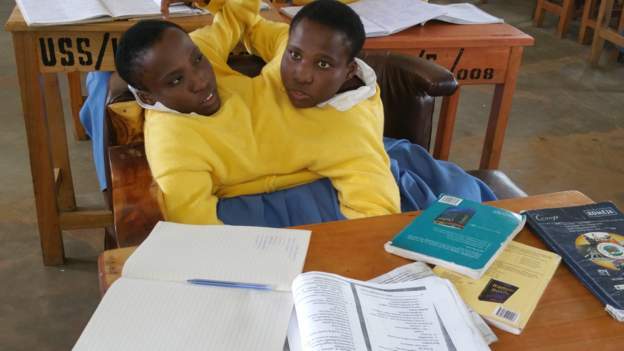 Cojoined twins, Maria and Consolata Mwakikuti have talked about their future as they would love to become teachers after graduating from school. Making a remarkable progress in curbing the spate of kidnappings in the state, the Nigerian police has busted an infamous kidnappers' hideout in Ikorodu. A Nigerian monarch, Oba Saheed Elegushi, the Elegushi of Ikate Kingdom Kusenla III has acquired a new bulletproof Rolls Royce car. Oba Saheed Elegushi, the Elegushi of Ikate Kingdom Kusenla III has reportedly acquired a bulletproof Rolls Royce Phantom said to be worth $500,000. 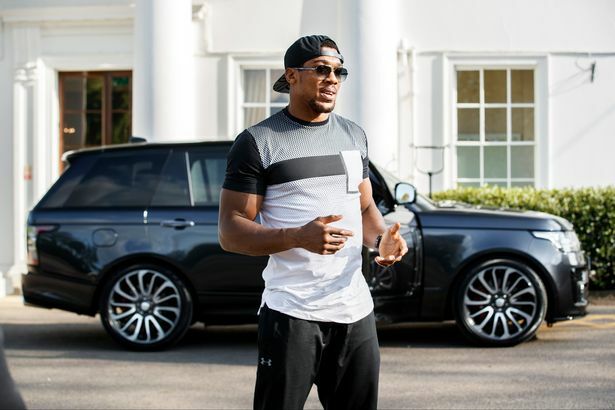 Nigerian-British boxer and world boxing champion, Anthony Joshua has bought himself a customized Range Rover SVAutobiography worth N40 million. After defeating Wladimir Klitschko in one of the greatest fights of his life, boxing champion, Anthony Joshua has taken delivery of his new customized Range Rover SVAutobiography worth millions of naira. Joshua took delivery this week of a bespoke version of the high performance Range Rover SVAutobiography Dynamic. Donald Trump has sacked the First black female Chief Usher who was appointed by former President Barack Obama without giving any reason. 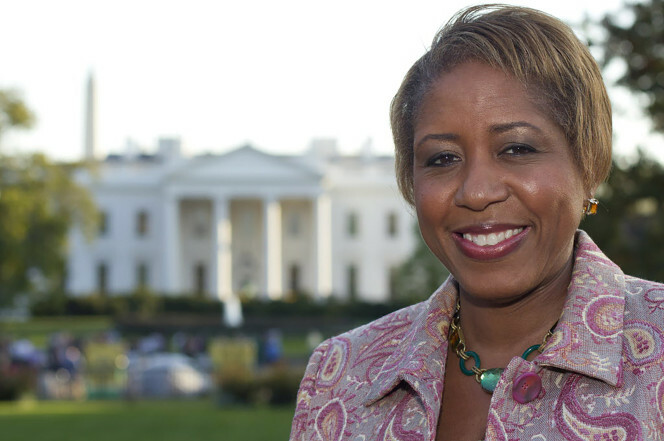 The Trump administration has fired the White House chief usher — the first woman and second African-American to hold the nonpartisan position, according to a report. The report by AP revealed that the White House residence staff was told Friday morning that Angella Reid, appointed in 2011 by President Obama, had been canned, without offering an explanation, the Washington Post reported, citing a source. It is definitely not a good time for the family of Nollywood star actress, Omoni Oboli, as it has been revealed that the family has lost its patriarch in a ghastly car accident. 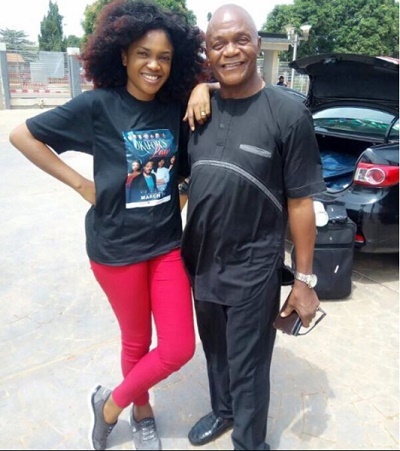 It’s a trying time for Nollywood actress and Okafor’s Law producer, Omoni Oboli, after she lost her dad in a car accident. Her father’s death comes just two weeks after she celebrated her 39th birthday. 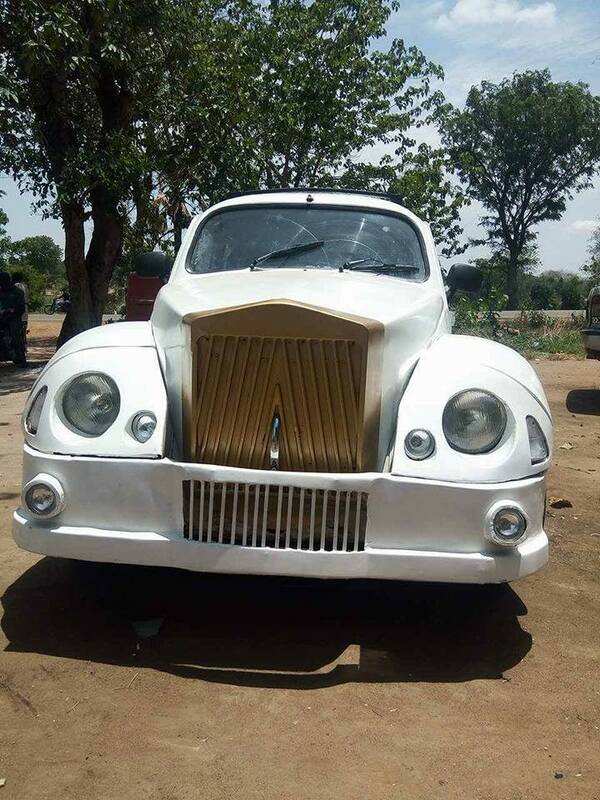 A Nigerian man by name Muhammad Abdul Modibbo has redesigned and reconstructed an old beetle into a Rolls Royce car. Sketchy reports have it that the Managing Director of a major bottling company in the world has resigned to welcome a new challenge. The Managing Director of Nigerian Breweries, Nicholaas Vervelde, has resigned. According to a notice posted to the Nigerian Stock Exchange by the company, Thursday afternoon, Mr. Vervelde resigned to take up a new role within the Heineken group outside Nigeria. 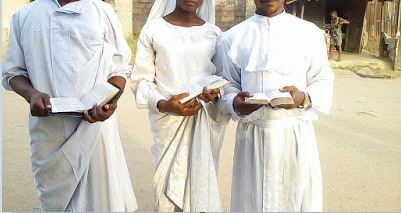 The silence of some outspoken clerics including Pastor Tunde Bakare, Rev. Father Ejike Mbaka, as well as some other prominent Nigerians on Buhari's health status, have shown how hypocritical they are, says Reno Omokri. 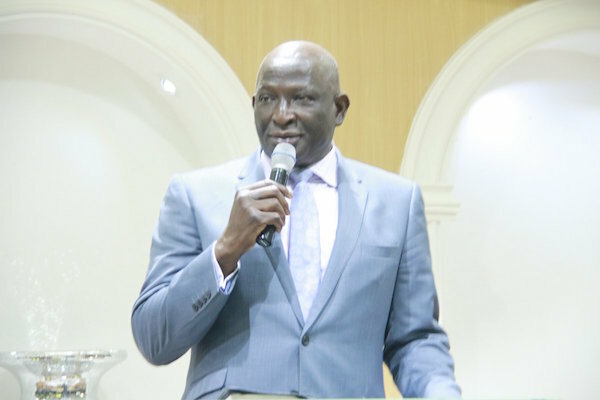 A former Special Assistant to ex-President, Goodluck Jonathan, has claimed that God made Muhammadu Buhari the President of the country to expose Pastor Tunde Bakare and Rev. Father Ejike Mbaka of their hypocrisy. Omokri made the remark while berating some top men of God who were shouting at the top of their voices during the last presidential election. 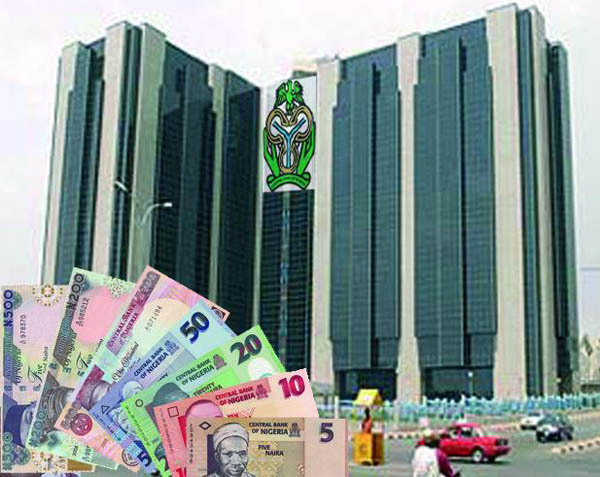 In a circular exclusively obtained by Reuters on Thursday, the Central Bank of Nigeria (CBN) has lifted a ban on currency allocation for importers bringing in goods worth up to $20,000 per quarter. Warri street ambassador, Efe Ejeba has made a triumphant entry into his hometown, Delta State after touring several hot-spots in Nigeria. Big Brother Naija winner, Efe Ejeba has arrived Warri, Delta State for his home-coming. It would be recalled that other major participants of the international reality show which gained wide acceptance in Nigeria have been given the same executive home-coming treatment by their states of origin. Here are the faces of the 9 persons who were watching a football match between Manchester United and Anderlecht and died by electrocution at a viewing centre in Calabar, Cross River State. 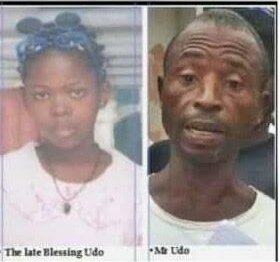 Photos have emerged showing the faces of ardent Manchester United fans including a 14-year-old girl identified as Blessing Okon Udo, who were electrocuted to death while watching the UEFA Europa League match between United and Anderlecht at a viewing centre in Calabar, Cross River State, have emerged online. The Minister of Information and Culture, Alhaji Lai Mohammed has been mocked by a Nigerian OAP, Daddy Freeze over this appeal to Prophet T.B Joshua against relocation from Nigeria to Israel. Social commentator and convener of the FreeTheSheeple movement, Ifedayo Olarinde popularly known as Daddy Freeze has lashed out on the Nigerian government for urging the general-overseer of the Synagogue For All Nations, Prophet T.B Joshua to abandon his plan to relocate his ministry to Israel. The Nigerian Air Force (NAF) has ordered residents of Alagbado Community in Ilorin to vacate the land allegedly encroached upon by the people. 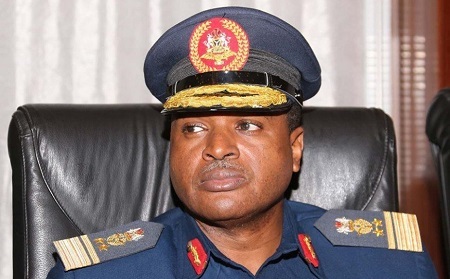 NAN reports that Mr Adeniyi Mathew, NAF Coordinator, 303 Medium Airlift Group (MAG), told newsmen in Ilorin on Thursday that the land was allocated to the Air Force in 1987. A sad news has hit members of the Redeemed Christian Church of God as the church has lost its Assistant General Overseer to the cold hands of death. The the Assistant General Overseer and Pastor-in-charge of Redeemed Christian Church of God, West African coast, Pastor Olu Obanure is dead. FIRS officials in the Niger Delta area of Nigeria were reportedly humiliated and threatened by miscreants in the line of duty. Flamboyant Nigerian televangelist has appeared in a South African court on Wednesday facing 22 charges of human trafficking and s*xual exploitation. 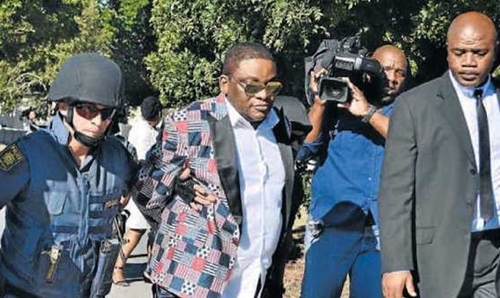 Popular South African-based Nigerian Pastor, Tim Omotoso, who was arrested on April 21 when he landed in the southern city of Port Elizabeth, and was initially facing two charges of s*xual assault and two of trafficking is in a bigger trouble as expected. Local traders and business owners who went to do their normal business this morning, have been seen in tears and sorrow after the popular Sabo market was demolished overnight in Lagos. 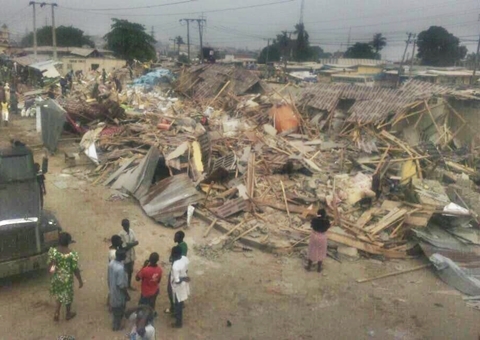 According to photos and videos posted on Twitter by SaharaReporters, the Governor Akinwunmi Ambode-led Lagos state government, have overnight demolished the popular Sabo market in the Ikorodu area of the state. 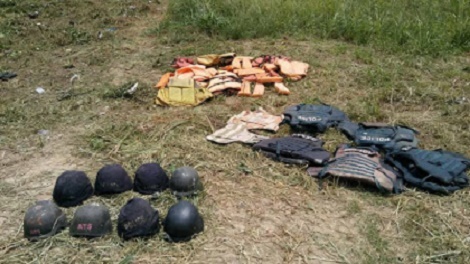 Security operatives in Borno state have shot dead three female suicide bombers who tried to attack a military outpost in the state. 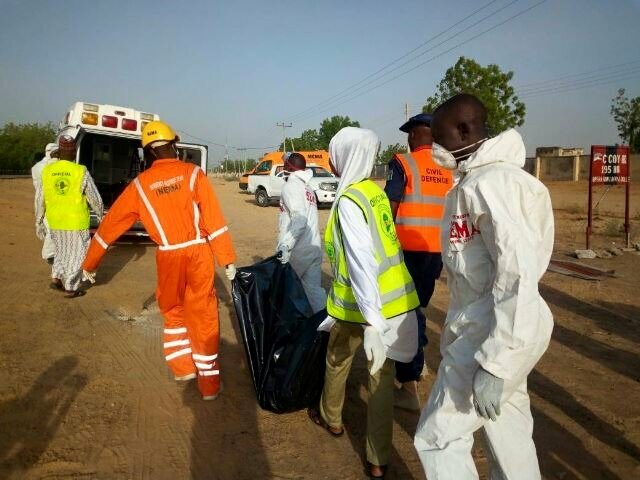 Three female teenage suicide bombers have been shot dead after they attempted to attack a military outpost popularly known as "Gontanamo" along Muna Garage, according to reports by National Emergency Management Agency. An official of Independent National Electoral Commission who allegedly accepted huge sums of money to rig elections has been convicted by a court. 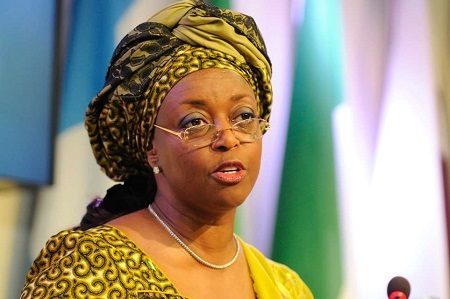 An employee of the Independent National Electoral Commission (INEC) has been convicted by the Federal High Court in Lagos yesterday for accepting over N70 million bribe from former Petroleum Minister Mrs. Diezani Alison-Madueke to rig the 2015 general election results. A Nigerian lady who recent lost a big amount of money in a road mishap has gotten her money back through the rare benevolence of road safety officials. The Federal Road Safety Corps has returned the sum of N500,000.00 recovered from an accident scene to its owner, Ms. Hafsat Idris. The Ilesha Unit Commander of the FRSC, Mr. Samuel Oyedeji, said on Wednesday that the money was recovered on April 25, 2017, from the scene of an auto crash involving a Toyota Pravia marked, EKY 626 AC, along the Ilesa- Ipetu Ijesa Road. The People's Democratic Party-led administration in Akwa Ibom, South-south part of Nigeria has announced its plan to import several cows from America. 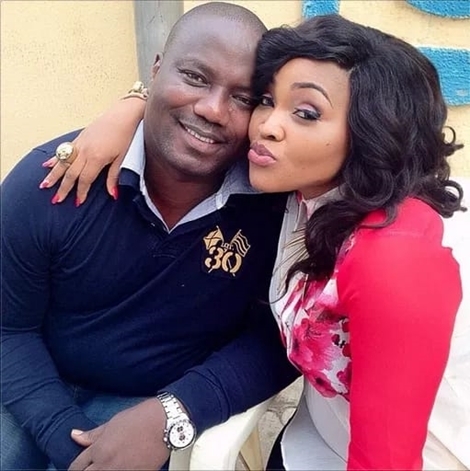 Lagos businessman, auto dealer and husband of popular Nollywood actress, Mercy Aigbe, has sensationally revealed that his wife is mentally unstable and was cheating on him. While speaking in an exclusive interview with Best of Nollywood on Wednesday morning, Larry Gentry, the popular Lagos businessman and the husband of actress Mercy Aigbe, made a shocking revelation on how his wife and mother of his son, is mentally unstable and also has psychiatric problem. New revelations have shown that immediate US president, Barack Obama, was deeply involved with another woman before actually meeting and marrying Michelle. 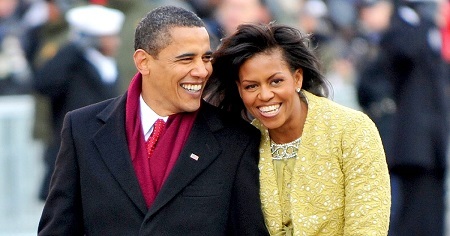 It has been revealed via a new biography, that former US president Barack Obama proposed to a woman he dated in the 80's who rejected his proposal twice before he met and married his wife, Michelle Obama. Drama as Police Detectives Raid Kwankwaso's Home in Kano. A dramatic incident has played out in Kano after men of the Nigerian police ransacked the home of Mr. Lawan Musa Kwankwaso. Policemen have invaded the Sharada residence of Mr. Lawan Musa Kwankwaso, the younger brother to the immediate past Kano State Governor, Senator Rabiu Musa Kwankwaso on Wednesday night. The men are believed to be from the Force Headquarters, Abuja. They were said to have ransacked Lawan’s home in search of certain documents relating to the former governor. Nigerian celebrity couple, Banky W and Adesuwa Etomi who broke the internet today after announcing their engagement on social media, is set to finally tie the knot this year. Earlier today, we reported that popular Nollywood actress, Adesua Etomi, took to her Instagram page to announce that she has accepted a marriage proposal from Nigerian R&B singer, Olubankole Wellington a.k.a Banky W.
Some deadly armed robbers have been mercilessly beaten and dealt with after they were caught trying to steal a car. An angry mob yesterday pounced on two young men suspected to have attempted to steal a car on the Solomon Lar Way, Utako, beating them with iron rods and hurling stones and other missiles at them. According to reports, the criminals were pursued as they tried to escape in their getaway vehicle, an Abuja painted Volkswagen Golf taxi cab, with no number plates before they were caught. For the third time, President Muhammadu Buhari has missed the Federal Executive Meeting raising serious suspicions about his health. President Muhammadu Buhari has again missed a meeting of the Federal Executive Council which is ongoing at the Presidential Villa, Abuja raising serious suspicion about his health. This is the third time Buhari will be found missing at the meeting. 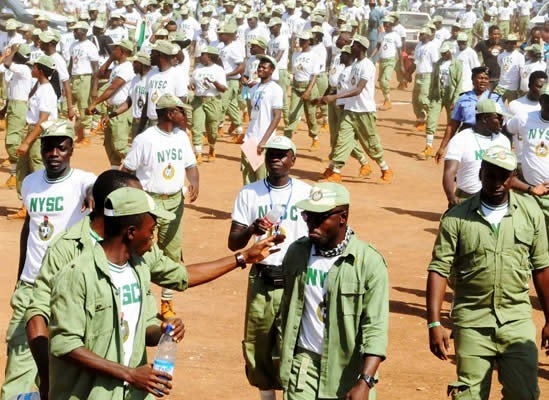 A corps member serving in Zamfara State has been declared wanted by the Modibbo Adama University of Technology over N30 million school fees fraud. The management of Modibbo Adama University of Technology in Yola, the Adamawa state capital, have declared wanted a National Youth Service Corps (NYSC) member serving in Zamfara State, identified as Fidelis Chalokwo, over N30m Univeristy school fees fraud involving 940 students. According to a report by Punch, the 940 students of the institution risked being restrained from sitting for the second semester examination. It is still under debate that President Buhari rumoured to be ill will be present at the weekly FEC meeting to preside over it. President Muhammadu Buhari is expected to preside over the weekly Federal Executive Council (FEC) meeting today Wednesday. This has, however, generated mixed reactions among Nigerians. While some say he would attend, others stated that the presidency will, as usual, give excused to Nigerians if Buhari fails to show up. The wife of former president Olusegun Obasanjo, has warned that her son's upcoming wedding will result to plane crashes, fire incidents, multiple road accidents, trailer killing people, diseases of kidney, and more. 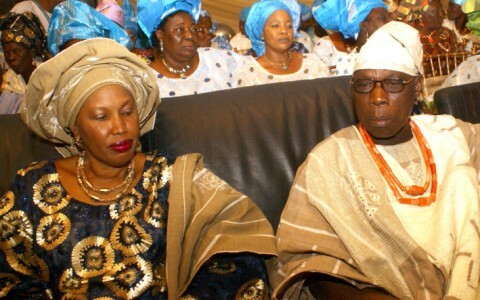 In a letter addressed to head of The Methodist Church of Nigeria by Taiwo Obasanjo, the wife of former president, Olusegun Obasanjo, raised an alarm over what she said would be the consequences of her son’s forthcoming wedding to the daughter of the owner of Premier Lotto, Kessington Adebutu. 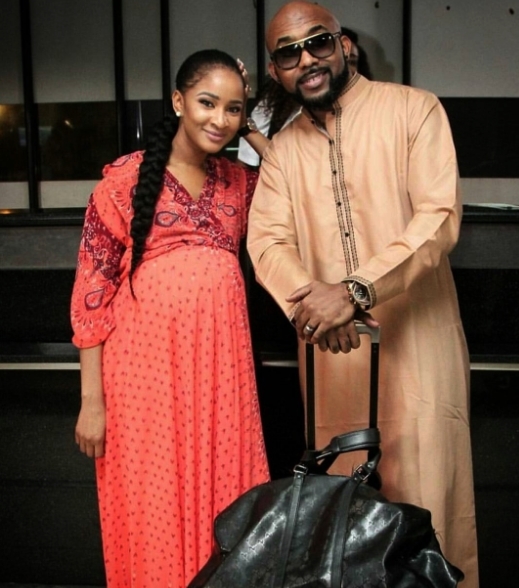 Another celebrity wedding is set to happen any moment from now after popular Nigerian R&B singer, Banky W announced his engagement to Nollywood actress, Adesuwa Etomi. 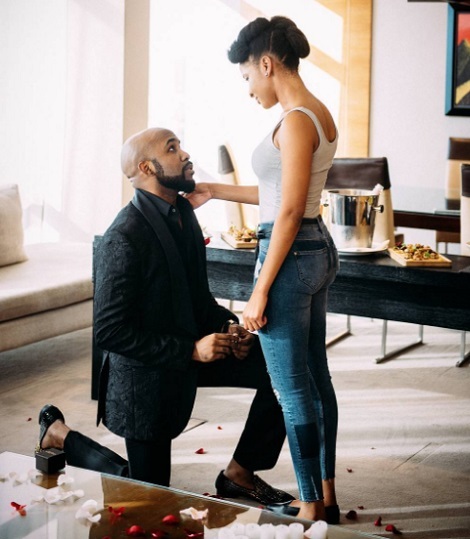 Earlier today, we reported that popular Nollywood actress, Adesua Etomi, took to her Instagram page to announce that she has accepted marriage proposal from Nigerian R&B singer, Olubankole Wellington a.ka Banky W.
Few minutes later, the multi-award winning singer, also took to his social media page to share his love story with the actress and also announced their engagement and prospective celebrity wedding. Arakunrin Rotimi Akeredolu has urged the power company to provide electricity for an area in Ondo experiencing extensive blackout. 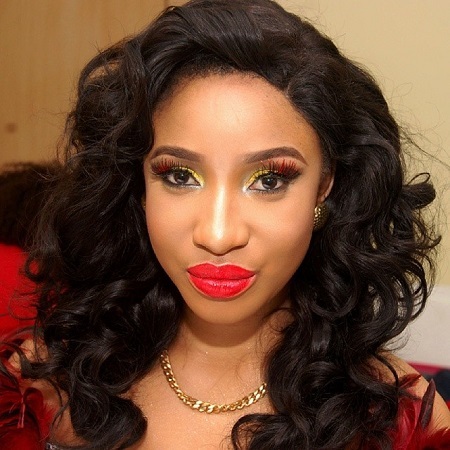 Nollywood actress, Tonto Dikeh has told of the moment she helped in rescuing a man who was flung out of a tricycle. Tonto Dikeh has taken to Instagram to disclose how she saved a man who was thrown out of a speeding Tricycle a.k.a Keke-Napep. According to her, the incident happened when she was in her car with her son. 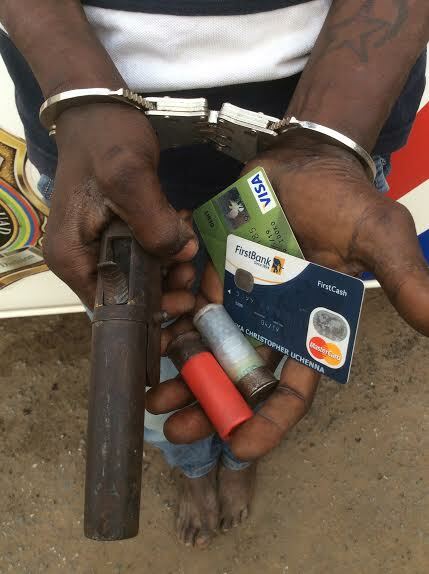 A serving member of the National Youth Service Corps has been arrested alongside an accomplice trying to break into and rob an ATM machine. A National Youth Service Corps member serving in Kogi State has been arrested for allegedly breaking into an Automated Teller Machine of a new generation bank, with the intention to steal. The man identified as Aka-Jude Tersoo was among the 36 suspects arrested in the last one week in the state. The police also arrested five persons believed to be members of the Boko Haram sect were apprehended by the officers and men of the command. Impressively-endowed actress, Yvonne Okoro has insinuated that her personality has been intimidating prospective suitors thereby leaving her single. In a recent interview in Accra, Ghana, Yvonne Okoro explained why she has remained single, atleast in the last two years. According to the actress, she is ready to date, but she thinks men don't have the balls to walk up to her. A man has met his untimely death while fighting over a woman in Owheologbo community in Isoko North Local Government Area of Delta state. A sad incident has led to the death of a man and several houses raised down after a man engaged another in a fight over a girlfriend. 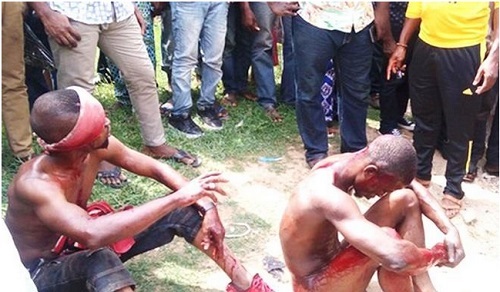 The incident happened in Owheologbo community, Isoko North Local Government Area, Delta State on Sunday night. 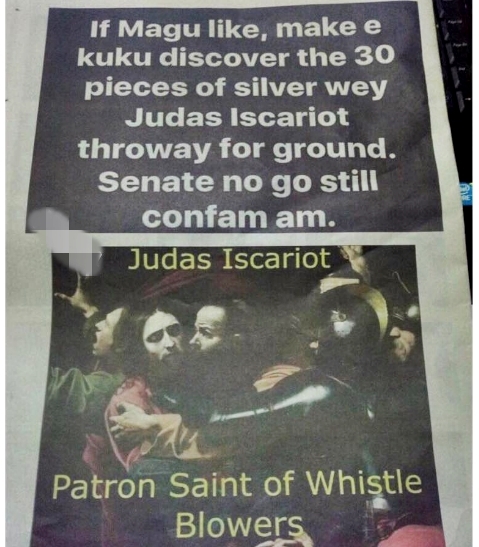 Media reactions and criticisms have trailed a controversial paid advert trolling Ibrahim Magu, the acting chairman of EFCC in a full newspaper page. A controversial advert which was published on Tuesday in ThisDay Newspaper about the Ibrahim Magu, the acting chairman of the Economic and Financial Crimes Commission EFCC, has emerged online.